부에노스아이레스의 볼거리와 사운드를 즐기고 싶다면 본 숙소(월도프 호텔 부에노스 아이레스)는 탁월한 선택입니다. 도심까지의 거리는 약 이며, 공항까지는 분 정도 소요됩니다. 본 숙소는 Menendez Libros, Lepo Almacen, Banco de Londres y America del Sur 등과 같은 많은 관광지 및 명소와 가까운 거리에 있습니다. 본 숙소(월도프 호텔 부에노스 아이레스)에는 다양한 시설이 있어 부에노스아이레스에서의 여행 시간을 풍요롭게 해줍니다. 투숙객들은 숙소 내에서 24시간 프런트 데스크, 여행 가방 보관, Wi-Fi (공공 장소), 주차장, 룸서비스 등을 즐길 수 있습니다. 본 숙소에는 최고 수준의 편의와 편안함이 갖춰져 있습니다. 일부 객실에서 평면 TV, 금연 객실, 에어컨, 난방, 모닝콜 서비스 등을 제공합니다. 본 숙소 투숙 기간 다양한 여가 시설 등을 이용할 수 있습니다. 본 숙소(월도프 호텔 부에노스 아이레스)는 부에노스아이레스행 여행객의 스마트한 선택이 될 수 있습니다. 바쁜 일상을 벗어나 매순간이 편안한 휴식이 될 것입니다. 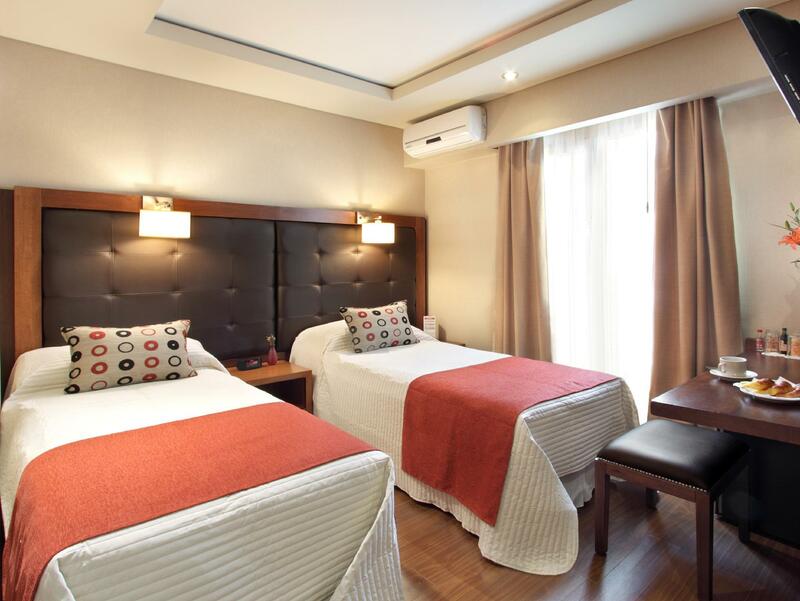 I needed a decent hotel in the centre of Bs As close to my main appointment and close to the BuqueBus terminal as I had an early departure the next morning to Montevideo (walking distance). Good bed, bathroom and AC. All I needed. I did not use breakfast, so I cannot give my opinion on it. The neighbourhood was peaceful (used to be different 15 years ago) and shopping Pacific is very close by. Pubs and small eating places are just around the corner. I really liked the location. 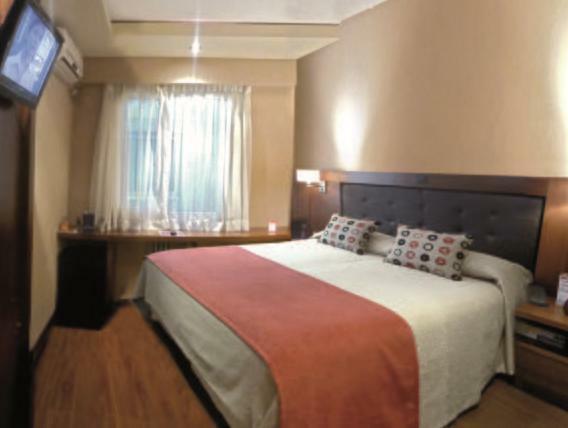 Very good location(close to sightseeing place and shopping area). Very friendly +helpful staffs. Only 1 negative thing was "Room was very small"
The hotel is well located, you can go by foot to almost anywhere, but you can hear the noise from the street even with the windows closed and the air conditioner on. Maybe in other rooms it doesn't happen. The staff is very gentle, ready to help. An average three stars hotel. 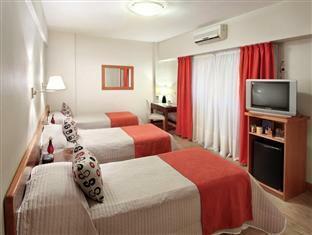 Very good location, close to the pedestrian street FLORIDA. Many tourist interest places in walking distance. The rooms are clean and the bed was ok. Breakfast is buffet and very well if you come early - around 07 am. We stayed in this hotel twice for 2 days within the last 2 weeks and in the first two nights it was quite noisy around 03 to 04 am. It seems that Tourists from Brasil like this place - so be prepared for noise in the hotel in the middle or end of the night when those people come back to the hotel from a night out. The people on the reception are friendly but checkout (paying with Visa credit card) is quite time consuming. It takes in my case every time more than 10 minutes for me!! If there are a few people in front of you, plan for ample time. We asked for taxi to EZE airport around 05 pm and they suggest us Remise for around 95 peso but we end up paying 114 peso. Rude staff thats too busy to help guests. They seem to only have rooms when you pay top dollar otherwise they are booked. We booked a room with three beds and got a room with 2 singles almost comical how small the room was. Cruise ship cabins are bigger! The front desk was never very helpful and seemed bothered if you asked them a question. 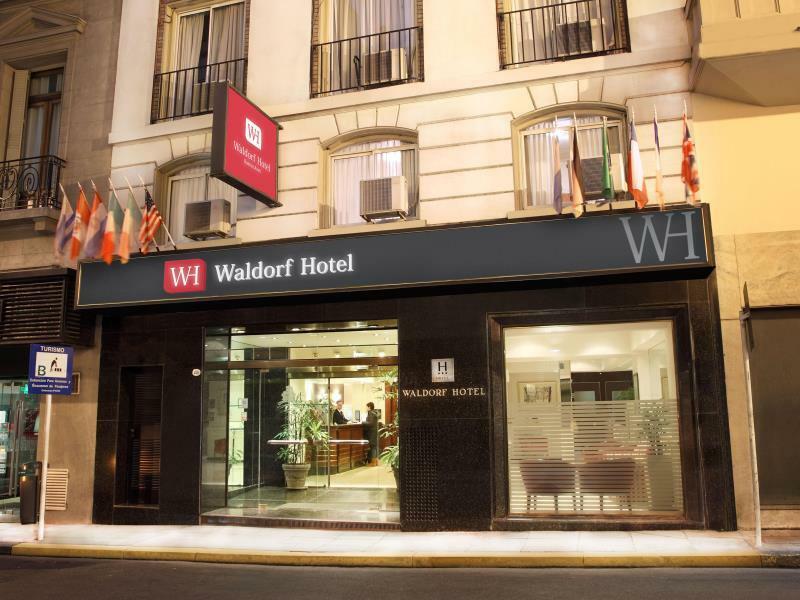 Its certainly not the Waldorf Astoria! don't be fooled by the name. Avoid the Waldorf if at all possible. Cet hôtel possède des chambres rénovées mais lorsqu'on réserve par une agence , on se retrouve dans une chambre non rénovée avec peintures défraîchi est, lits inconfortables et lit d'appoint bancale en guise de 3ème lit pour adulte. Le personnel est arrogant,le petit déjeuner est très correct. tres bon service de la part du personnel,proprete irreprochable,bon rapport qualite prix. Das Schlafzimmer entspricht nicht der Beschreibung bei der Reservierung. Als Dreibettzimmer wird ein Zweibettzimmer mit schlechtem Zusatzbett auf einem unrenovierten Stockwerk angeboten. Das Personal ist arrogant , auch wenn man spanisch fließend spricht. 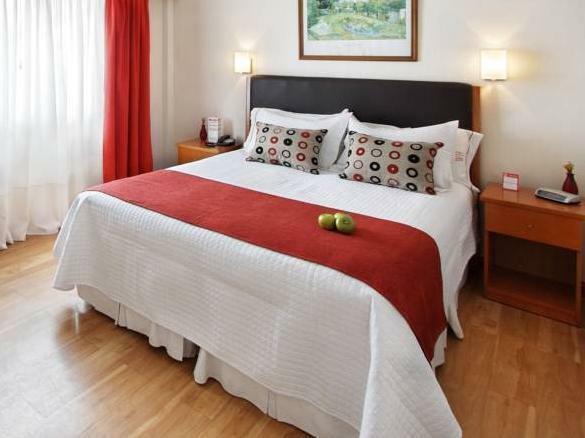 El hotel nos pareció muy confortable, las habitaciones son amplias y comodas, el desayuno muy rico y completo, pero especialmente quiero recalcar la excelente atencion del personal, lo que hizo que nos sintieramos muy comodos y a gusto... Todas estas cosas hacen que los volvamos a elegir...Los saludos mi esposa y yo Nuestra direccion de mail es danivalop@hotmail.com, porque la otra es prestada por un amigo! No encontramos cosas que no nos gustaran! Nosotroas viajamos periodicamente a la capital por cuestiones comerciales y por un comentario de un amigo hicimos la reserva, ya que tuvimos muy buenos comentarios sobre el hotel. Nos gusto tambien el hecho en que se encontrara en una zona centrica porque para nosostros que somos del interior no nos es facil manejarnos en la capital. 1. Salão de café muito pequeno para o número de clientes. 2. apartamento pouco espaçoso. O hotel está localizado numa área privilegiada de Buenos Aires, facilitando o deslocamento para os lugares turísticos da cidade. Gostamos muito do atendimento dos funcionários do hotel, sempre muito solícitos. A limpeza, tanto do apartamento quanto das áreas sociais, esteve sempre excelente. Achamos o salão de café muito pequeno para o número de clientes, ocasionando filas de espera. As dimensões do apartamento eram pequenas, mas de forma geral não desagradou. Em resumo, ficamos satisfeitos com o hotel. Vi var mycket nöjda med hotellet. Standarden var god och det var bra att det fanns rum för tre vuxna. Serviceinriktad personal som talade engelska, vilket var en stor bonus för vår del. Hotellets centrala läge var positivt, med gångavstånd till stora gågatornna och nära till restauranger och nöjen. Men svenska mått mätt var prisnivån mycket konkurrenskraftig och kommer vi till Buenos Aires är det mycket troligt at vi återkommer till samma hotell.